Up to a few years ago, the most important meal of the day was lunch. But the demands of today’s society and the lack of time have made dinner the basic and main meal of the day for most of us. And as the need for food is compounded by the need of pleasure after a hard day’s work, people often end up eating badly, greedily and irregularly. This fact, according to nutritionists, is a huge mistake as dinner should not be unplanned and messy but balanced and a smart way to close our day without bad effects on our weight and physical wellbeing. Excessive restrictions are not good for either our bodies or our mood. Of course, this does not mean that excesses are allowed, as they contribute to weight gain and indigestion. Nowadays light meals have become imperative. The long working hours, the time wasting in travelling, the increasing family needs and social life have being moving dinner time more and more late. The result is to take many calories which are difficult to “be burnt”, as at night our metabolism works more slowly. The solution is very simple: all you have to do is to try to combine foods that do not overload the stomach, while providing our body all the necessary nutrients. And of course this does not mean you have to deprive taste. Just do not exaggerate the quantities and be careful on quality. 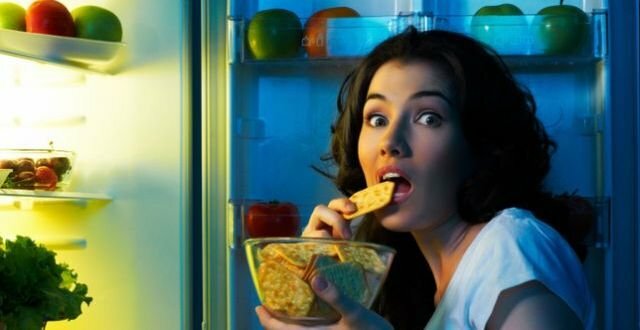 Why dinner makes you fat? Half a pound today, another half tomorrow and our weight keeps increasing. It happens to many people, their weight increases without apparent cause while most of them are absolutely sure that they don’t eat much. In these cases, the cause is usually the same: wrong choices in dinner. The dinner becomes a moment of personal reward and pleasure and we end up consuming foods that just “tickle” our palate without having real nutritional value. This occurs mostly in people who eat a snack at work, at school, etc. When they arrive at home in the evening, they think about the dinner as a time of relaxation and an opportunity to spend time with family. In this way the dinner table ends to be a celebration of food and usually it doesn’t consist of light dishes. Additionally, many people after a hard day at work don’t want to cook and prefer fast food instead. Unfortunately, these dishes can even reach 700 calories each, which are definitely too many. These little nutritional sins are becoming a habit over time and as they affect the caloric balance, they make us put on weight almost without even realizing it. Even people who do not have weight problems should be very careful in their food selections so that they are nourished properly. As a first course one can choose an 80-gram serving of pasta or rice topped with a light sauce, such as a vegetable sauce. The second plate may consist of 150g of meat or 200g of fish, 2 eggs or 100g of cheese which is rich in calcium. The fish contains omega 3 and it is recommended to be consumed at least 2 times a week. To garnish the second dish a tablespoon of olive oil is suggested. Fruit can be eaten after a meal and the ones that are preferred are pineapple and berries that help in the elimination of toxins. And for those who have a desire for something sweet after dinner, 20g of dark chocolate will not have an impact on their silhouette. To avoid the feeling of hunger, experts advise eating foods that give a feeling of fullness without a high calorie value. A suggested first course in winter time is a vegetable soup or cereal. Then a 100g white meat or fish dish can follow, or even 100g skim cheese; all combined with a green salad. An evening in a restaurant is a pleasure for everyone. The secret to be able to enjoy it without the food guilt is to choose intelligently from the menu. Do not select appetizers which are usually garnished with fried or fatty sauces, instead go straight into a side dish of roasted meat or fish. A very good choice is a salad without oil, if possible. A smart alternative would be a vegetarian pizza with light cheese. For dessert just prefer a fruit salad. Insomnia has many causes. Stress, background noises, a general fickle lifestyle can cause disorders and a restless sleep. Our diet and especially the last meal of the day can play an important role for a good sleep. Foods that help us to have a good night sleep are primarily carbohydrates: bread, cereals, pasta and rice. On the contrary, proteins are enemies for our good sleep, as they raise our body’s adrenaline levels. Therefore, to those who have difficulty in sleeping, it is suggested to replace the second dish at dinner with a salad of green vegetables. People who do sports in a regular basis should follow a specific nutritional model that will give them the necessary energy to cope with the needs of a workout, but healthy and light at the same time. According to Sports medicine physicians it is very important to mediate at least three hours from meal time to work out time. The best option is the small and frequent meals. As an example, you can eat a toast with turkey and cheese before your workout and a salad or a serving of 80g carbohydrates (pasta, legumes, potatoes) two to three hours after workout. You should note that carbohydrates are very important as they help eliminate toxins and lactic acid.